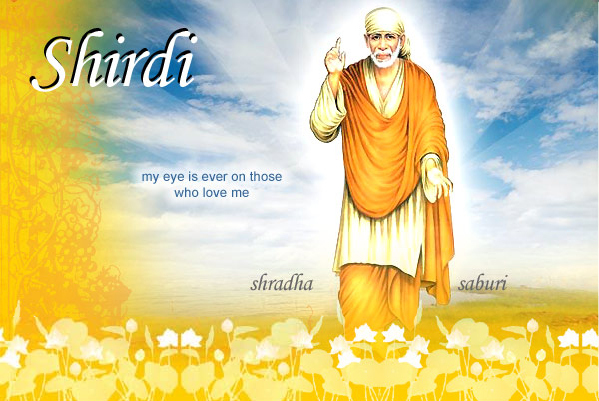 Abode of the charismatic Shri Saibaba, Shirdi is the mystical town fragrant with the devotional intensity that sees devotees from across the world thronging to this small hamlet. Highly placed on the world map of spirituality, Shirdi is located in Ahmednagar district of Maharashtra and close to the holy city of Nasik. Such is the devotional strength of the place that even a casual visitor cannot remain unaffected by the faith and conviction of the devotees on Saibaba. Bereft of any religious narrowness, Saibaba was essentially an Indian Guru, a Fakir who was regarded by both Hindu and Muslim communities. He worshipped both at temples and mosques and encouraged tolerance between both the faiths. His life and teachings are wonderful semblance of both faiths. Saibaba is believed to have arrived at the village of Shirdi when he was about sixteen years old. He took up residence in a Khandoba temple, where a villager (Mahalsapathi) at worship first called him Sai ("saint"). Bearing an extremely simple and ascetic life, Sai Baba lived in the village as a mendicant monk. His inherent charisma soon began attracting followers. He has been attributed numerous miracles which still live expanding the list of his devotees. Today Saibaba temples are all across India and even beyond. Devotees have established Sai temples in countries like Canada and Cuba.